Where we put our customers first! 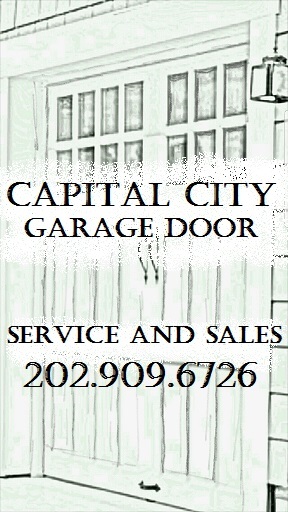 Capital City Garage Door has proven to be a great vendor to us. I have had two issues arise that they handled quickly and professionally. I would highly recommend them to everyone! Joe and Jose were great. They came early to our house and got the garage fixed in time for me to get to work. Explained things very well. They are nice and professional. Very easy to schedule a time. Called at 8pm and they were able to schedule an appointment for 7am the next day. I just happen to stumble across Capital City Garage Door through a Google search. I called and was able to arrange an appointment the next day. The technician, Joe was out the very next day and gave an assessment that was the best option to fix my garage door. He was able to be flexible with the install to work around my schedule and the price quoted was very reasonable in comparison to other quotes I’d attained. Overall, the job was performed very quickly and the information given in the preventative maintenance for my garage door was invaluable. I would definitely recommend their service to anyone needing repair work on your garage door. The tech called 20 minutes before they arrived as promised. They had the required parts so no issue there. Took the tech about 10 minutes to program the remotes. They explained how to reprogram should that ever be an issue. Very satisfied with the parts and service. Reliable attitude and concerned about doing the job right the first time.